Every country would love to have high domestic energy production, coming from a range of different sources to reduce the overall environmental impact of energy generation. If we look at the range of energy sources currently available, there is only one with a truly infinite capacity and easy access. Yep, you guessed it: The Sun. The only stumbling block to seeing solar power compete on a par with fossil fuels has been efficiency. The sun provides infinite raw energy, but converting it into a useable form (electricity) has been a huge challenge for solar-panel engineers. 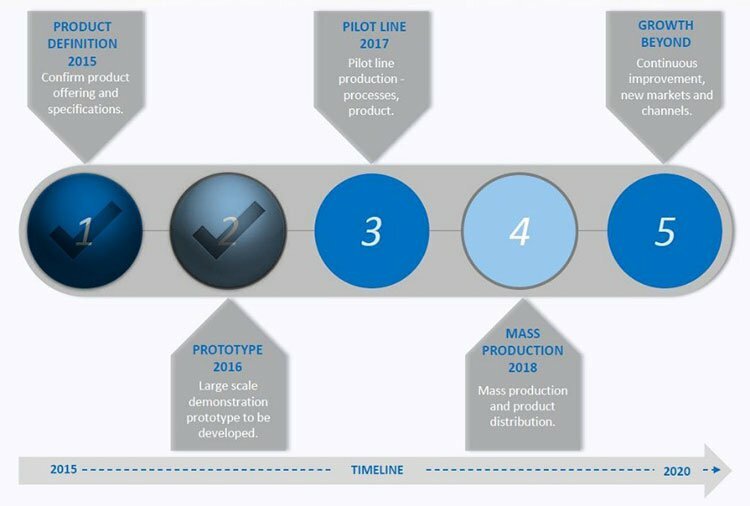 The third generation of solar panels is now moving closer to market, and Dyesol (ASX:DYE) seems to be in driver’s seat heading to market with its R&D work now fully completed . DYE is on the cutting edge of an energy paradigm shift, having spent over $100MN to get to this stage – and investors are hoping this bold company could transform into a Tesla of solar energy... very ambitious, but that is what this company is striving for. 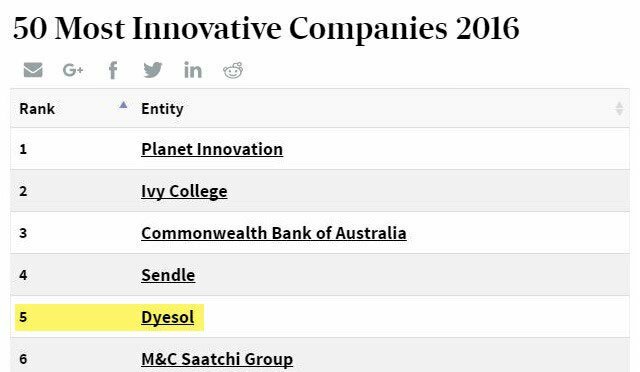 DYE’s move to market will be facilitated by its ability to achieve a solar energy conversion rate of 10+% using perovskite solar cells (PSC) — a significant improvement on previous generation solar cells. This helps perovskite to par its performance with silicon — the leading element in existing solar panels. 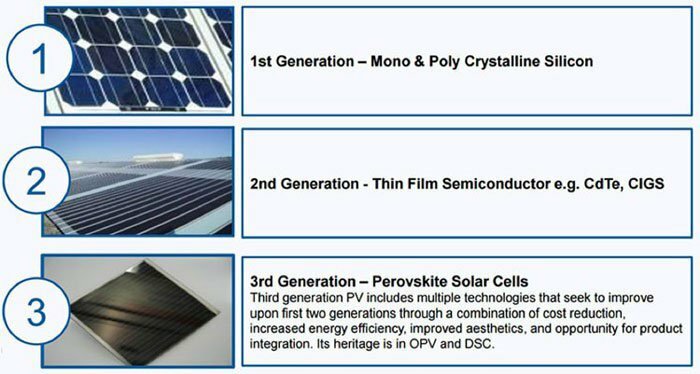 DYE has already outlaid over $100MN on PSC research, so with the material now on the cusp of going to market sometime over the next 2 years, DYE is well positioned to begin generating strong revenues into a solar PV market worth US$50BN and growing. 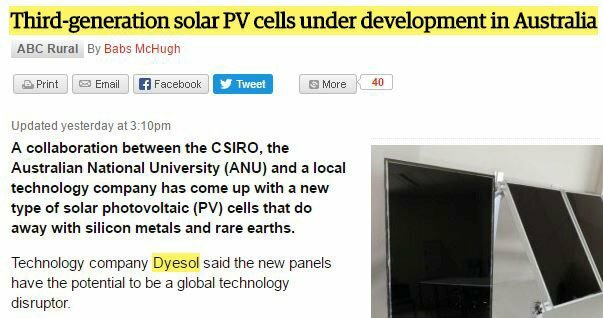 Dyesol (ASX:DYE; FWB:D5I) has committed its entire strategy and market focus on PSC, so in many ways, DYE is a vehicle to back the new wave of solar technology that no other ASX company has. For a background on the cost performance of PSC, read the following article: Cost-Performance Analysis of Perovskite Solar Modules. It is an excellent article that will give you a clear understanding about just how powerful this technology could be. Research and Development is now complete at DYE, and several appetisers have already been achieved, including a cash injection from the Engineering and Physical Sciences Research Council for joint research between DYE and Cristal, and the University of York into oxide films. Trials are being conducted to test if oxide films can be applied to DYE’s perovskite solar cells which could potentially provide a performance uplift. DYE is also now firmly getting stuck into its main course: Turkey. DYE is eyeing-up a long-term development project in Turkey. Turkey is a major importer of energy, with an unhealthy reliance on Russian oil and gas. This geo-political hot-potato is something Turkey wants to snuff out. According to government officials and its stated energy policy, Turkey will add solar power to its currently solar-less energy portfolio. The Turkish National Renewable Energy Action Plan aims to increase the country’s existing renewable energy generation capacity to 61GW by 2023; mostly in the forms of hydro, wind and solar generation. As of 2013, Turkey had over 22GW of hydro generation capacity, but only 2.76GW of installed wind generation and no installed solar projects. ...and a plant ready for construction in Turkey within the next two years. The days of bulky free-space-guzzling solar panels are long gone. Given the improved efficiency and smaller size of the PSC panels, this type of facility would need to be a lot smaller and take up much less space than current 1 st and 2 nd Generation solar panels. Turkey is undergoing a government-led initiative to focus on energy security by shifting its macroeconomic energy policy towards greater energy diversity and domestic production. DYE met with Turkey’s Chief of Ministry of Science, Industry and Technology, earlier this year and the good news is that DYE’s plans do not seem to be affected by the political turmoil still ongoing in there. This is because DYE’s technology is a benefit to Turkey and her people, regardless of who is in charge. Turkey is desperate to remove reliance on Russia and the EU, in order to forge its own path on the international stage. That’s rather synchronistic with DYE’s own plans — to remove reliance on fossil fuels, in order to forge its own path on the international stage. Could DYE do the unthinkable and leverage its political connections to garner a strong market position in Turkey? We’ll look further into that later, but first let’s delve into the solar market. Solar power is possibly the most underrated energy source currently available. Usually, bringing up solar power tends to conjure up sighs and groans from sceptics that have heard it all before. 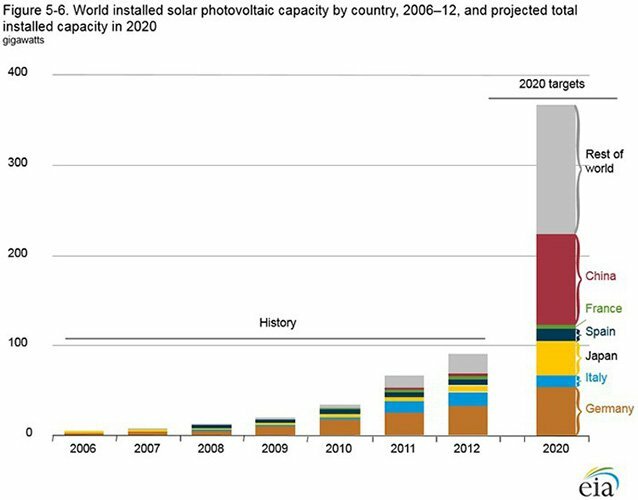 However, solar power is currently the fastest-growing generator of electricity globally. Solar power is growing in its ability to satisfy the escalating need for new energy sources. The only missing piece of the puzzle is (was) efficiency. This pesky problem is rapidly being worked on; just take a look at the race-to-efficiency peloton in solar right now. In the chart above, the various lines represent change in solar-cell efficiency since 1975 until today. Each line represents a particular subset of materials and elements as various labs attempt to find the perfect mix of compounds to achieve maximum efficiency of converting solar energy into electricity. At DYE, its own research programme is also revelling in this industry-wide progress. Earlier this year, DYE announced that its solar-cells were subjected to rigorous lab tests including keeping at a constant temperature of 85 oC for 1000 hours and testing before/after performance changes. DYE confirmed that its perovskite cells were able sustain operations with less than 10% performance loss . This is a crucial step that proves up the reliability of perovskite. 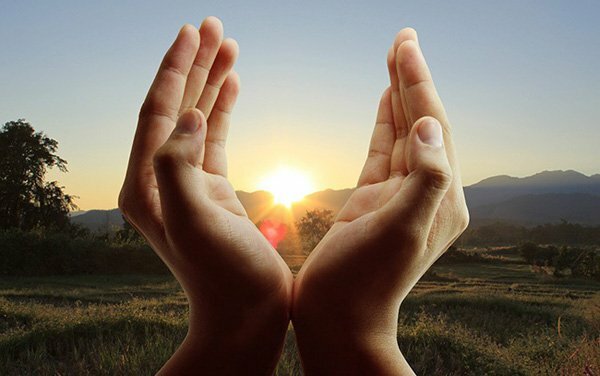 If reliability is more or less in the bag, other aspects such as lower costs , more flexible materials and wider applications mean perovskite has an absolute and undisputed advantage over any other solar-cell technology. In many ways, DYE could be considered the mini-Tesla of Solar — DYE has gone out on a limb, spending over $100M to get to this stage, and with a view of turning its industry on its head. The reason for such confidence and commitment is because perovskite has the potential to supersede silicon in the materials stakes, in the same vein electric cars are superseding combustion engines. Currently, solar panels are made largely of silicon; but with perovskite quickly catching up, it means a solar panel technology will soon eclipse silicon, and finally be economically viable to distribute en masse, to construct funky new types of architecture and even re-sync with the Tesla analogy by feeding solar power into its PowerWall devices. This explains why the Australian Business Review rated DYE as a spec buy earlier this year on the back of DYE’s potential — despite the political and social unrest in Turkey, which is unlikely to derail a tech innovation in a country that is desperate for energy security. Quite the opposite, given the recent coup attempt in Turkey, added to broader geo-political tensions globally, this uncertainty has as much chance of accelerating DYE’s Turkish ambitions, as it does it slowing them. Because whichever Turkish power structure eventually claims power, it is likely to shore up Turkey’s energy autonomy as a priority. DYE is close to obtaining confirmation of Turkish government support to build a $200M, 600-megawatt generator at the transport hub of Mersin on the Mediterranean coast of Turkey. DYE’s share price isn’t perturbed and could even start to creep up if Turkey’s problems fade. Of course, this is speculation about DYE’s share price movement and a rise is no guarantee to occur. Apply caution to your investment decision and seek professional financial advice. Working on any improved technology of course means working with strong technical partners, and government grant dollars can also help. 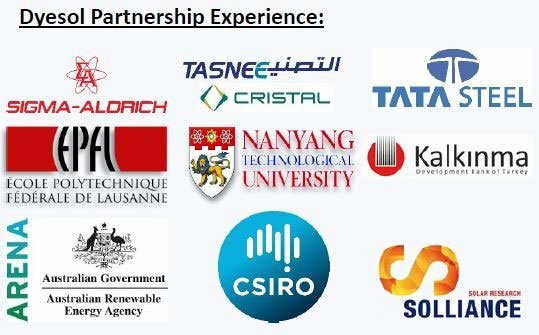 CSIRO is Australia’s most famous research lab which has been cracking away on PSC for several years now. Simultaneous multi-lateral research occurring on several fronts is a superb plus point, and DYE also benefits from the research frenzy because it is the largest DSC/PSC material manufacturer in the world. Just recently, DYE upgraded its Aurora facility and streamlined its operations, saving over $250,000 after a cost-analysis program. It’s worth mentioning, that while DYE is building up to launching its PSC technology, it remains the largest supplier of laboratory materials and ‘parts’ for solar-cell researchers. If we move onto the base demand for solar energy, it is expected to grow faster than any other energy source. 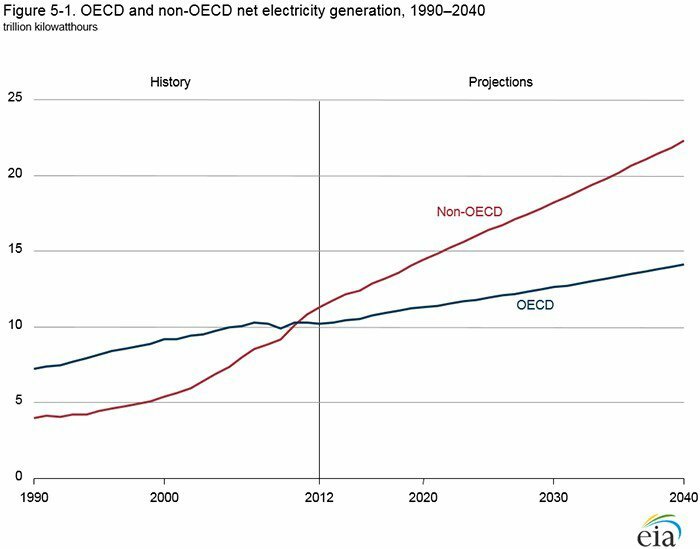 Global electricity output is forecast to grow from around 100 gigawatts to over 400 gigawatts in 2020. Developing countries are expected to embrace efficient solar power first and foremost. They tend to have more spare capacity and larger populations, and often, an early opportunity to take a more environmentally-friendly development path, compared to the standard race to acquire fossil fuel access (a common theme amongst rich developed nations). DYE’s solar tech is on course to provide a dual-pronged boost to energy storage and energy autonomy — not to mention architecture. The potential of perovskite doesn’t end there. Yes, throwing up fields of solar panels will generate potentially more electricity, at lower cost and less harm to the environment — but what about its urban potential? Each structure shown below has solar-cells built directly into its architectural design, thereby generating energy but also not forgetting about aesthetics. And soon, perovskite panels will be made available for residential homes that passers-by may not even recognise as solar panels. Even roof tiles could be made with a PSC layer able to generate electricity. These applications open up the potential of incredible advances in how structures are designed and built; and possibly transforming how architects think about building design and energy integration. With solar power now making technological strides that are rivalling the Internet of Things craze, we think there is a strong possibility of this energy source making a long-term comeback. If planes are flying around the world non-stop without refuelling due to solar energy — it’s pretty safe to say, this solar revolution is the real deal. The Sun isn’t going anywhere anytime soon (well not for another couple of billion years), so with solar-cells finally moving in the right direction in terms of efficiency, reliability and cost — now could be the time to back solar power. Solar power can finally stand on its own two feet, as its economics have now reached a stage where it could confidently compete with traditional incumbents such as coal, oil and even nuclear. DYE has several plans to market including a flagship Turkish project that could potentially be rolled out nationwide across the country. The details are still being refined with engineers pouring over the technical data to determine cost and logistics. 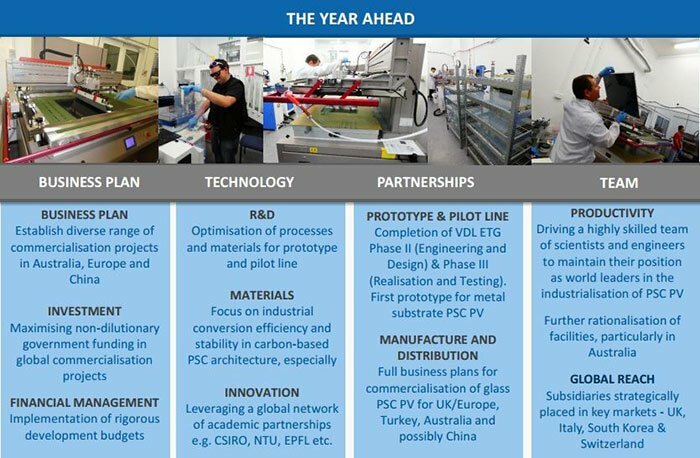 Furthermore, DYE has a neat backup plan domestically in Australia , with the costs of perovskite enabling a completely different conversation in terms of consumer expenditure. There is the additional factor of Tesla PowerWalls starting to be sold across Australia. If Tesla PowerWalls continue their ascent, they will need a reliable source of solar-power which DYE wants to provide with not only reliably, but also stylishly. It’s worth remembering that many Aussies didn’t like the look of 1st generation solar panels, which led to many refraining from switching from the grid to solar. But with DYE’s novel improvement, their size could be as small as a dinner plate, or as large as a football field — and blend attractively with existing buildings. Further along in the future, DYE’s perovskite cells could even rolled into posters and hung on walls. A reliable and portable power-plant with an infinite capacity that fits into the boot of your car is still some time away, but that’s the direction solar power is going. The final cherry on the DYE cake, is that PSC panels have a completely zero-energy footprint meaning future buildings will have both their energy requirement and aesthetic aspirations met with aplomb. DYE is in the best shape of its life, in control of its destiny, and has strong momentum to generate more than just a market murmur in both Europe and Asia. Clearly, DYE is taken heed of the old adage, ‘ if you fail to prepare, prepare to fail’ , and reversed it into an alternative: “ if you are prepared, prepare to succeed ”.